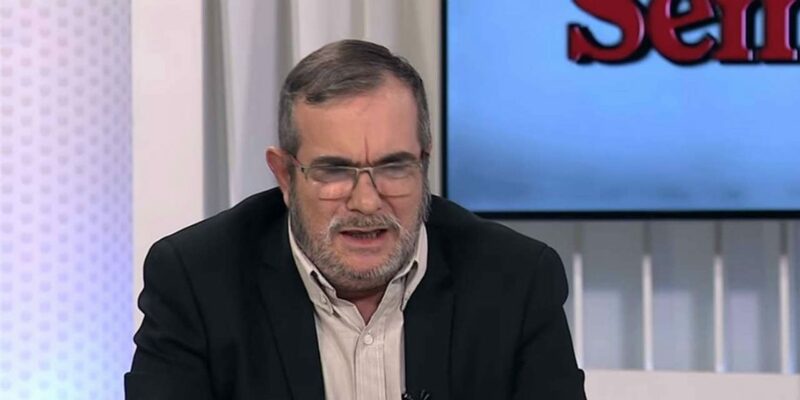 The presidential candidate for the party of demobilized FARC guerrillas will undergo heart surgery after suffering chest pains on Thursday, a FARC leader confirmed on Friday. Rodrigo Londoño, a.k.a. “Timochenko,” was hospitalized in a Bogota hospital on Thursday with chest pains. Aspiring FARC senator Carlos Antonio Lozada told reporters that Londoño was conscious and confident about the pending surgery. “He had a coronary arteriogram performed for the symptoms presented and his medical history” the Shaio Clinic where the FARC’s former military chief was hospitalized said. The FARC campaign team did not immediately confirm whether Londoño will undergo the surgery. The FARC candidate’s admission to a hospital came a day after a press conference in which he said he would insist in trying to become president in spite of security concerns. “I’m not giving up my candidacy. I took up the challenge of the candidacy because I am sure that on this path we will meet people who want to build a peaceful Colombia with us,” he added. His operation, however, will further complicate Londoño’s bid for the presidency, which has hardly been successful in the FARC’s first election campaign ever. The former guerrilla commander had suffered a from a serious cardiac condition which had him hospitalized for months in Havana, Cuba while negotiating peace. The FARC candidate lead the demobilization of some 14,000 forces last year after a decades-long career in the guerrilla organization.